Enjoy the robust flavour of 12 nutritious grains and seeds, providing a hearty eat experience you can feel good about all day long! Each slice contains a source of fibre and source of omega-3 polyunsaturated fat. Savourez la saveur robuste de ces 12 céréales et graines nourrissantes qui vous offrent une expérience gustative copieuse et saura vous satisfaire tout au long de la journée! Chaque tranche est une source de fibres et de gras polyinsaturés oméga-3. 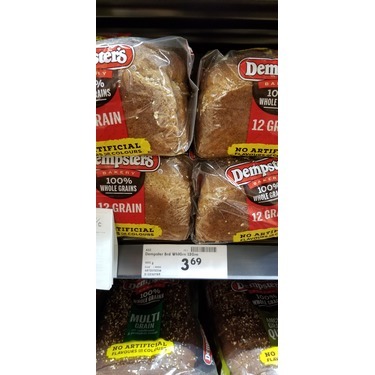 The Dempster's 100% Whole Grains 12 Grain Bread is a very heavy bread. I mean that in a good way. 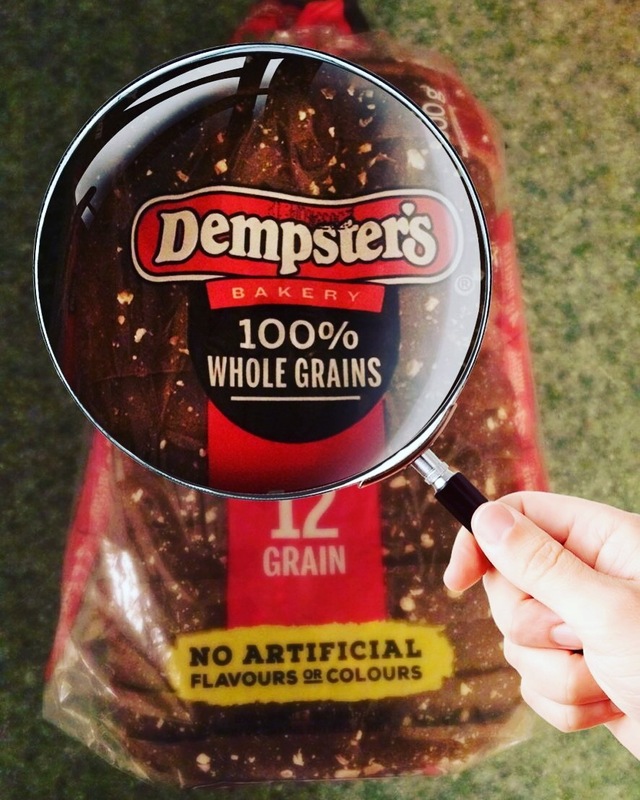 When you pull a slice out of the bag you can see the whole grains in it. Once you eat it, however, that's where it counts. The bread itself is soft and very, very filling. 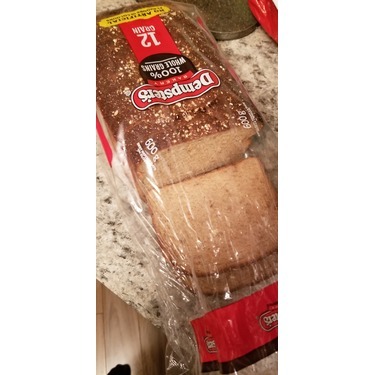 Normally I eat two slices of bread for breakfast but with the Dempster's 12 Grain Bread I only had one slice and I was full for hours. I will definitely buy this bread again. Dempster's has always been a first choice for my family. 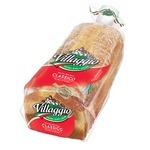 The quality of the products are always great and this bread especially is great in sandwiches, as toast, or even on it's own. 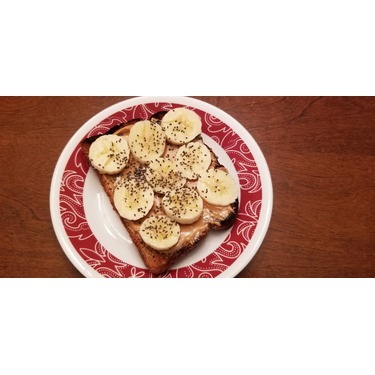 Not only does it taste good, but it's healthy and packed with lots of nutrients! * I received this product for free in exchange for my honest review. Makes the best tasting toast!! Whether a sandwich with all the fixens or a couple of slices of toast with peanut butter or jam. My whole family enjoys it as a treat!!! Love it!!! We will continue buying and recommending it!! Very good everyday bread. We buy it every week and is gone before you know it. My husband likes it so much that he does not mind having it couple of times a day. 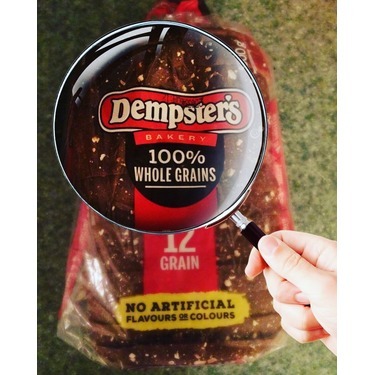 DEMPSTER'S 100% WHOLE GRAINS 12 GRAIN BREAD is a very delicious bread I am very happy I got to try this out and give my review. I ended up just purchasing it as I kept forgeting to bring my product coupon in the store. 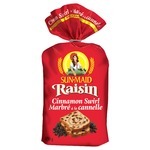 However I was not disappointed and will take my coupon and redeem for the same item again. The bread has a great texture and keeps you full longer. It also isn't dry like other similar products I have tried. Definately a new favorite. I love bread. I love a sandwich for lunch or eggs and taste in the morning. This is a good quality bread. I like the 12 grains and that it keeps you full and is a nice taste and flavour. 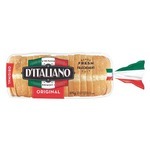 It is great with any kind of sandwich meat and has a great texture for fresh or toast. I received this to test. 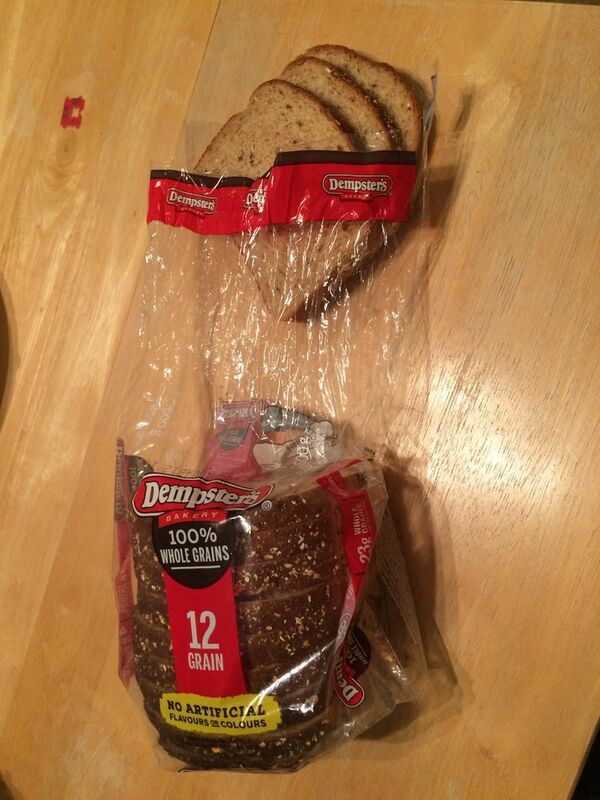 I purchased the Dempster's 100% twelve grain whole grain bread. I have to say I was surprised with how good it was. Texture is important to me and I was worried it would be grainy as often is the case with these types of breads. It wasn't at all. It was smooth , soft and very tasty. It actually made me feel like I was eating something healthy. I would definitely purchase this product again! I thought this bread tasted great. 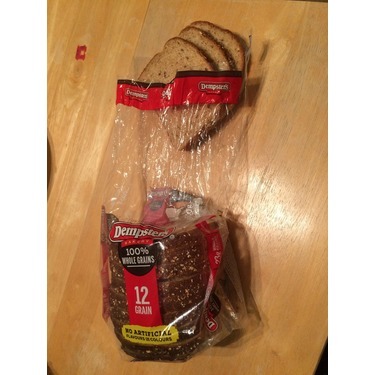 My husband isn't a fan of whole grains so he didn't even try it but my son loved it as well. It didn't taste gritty and was has a soft texture. I would recommend this bread to anyone who is not sure about whole grain bread. My children and I really loved this bread. It tasted great and was good quality bread. We tried it for sandwiches and also as toast. Very happy with eating it both ways. The price is a bit higher than I would normally pay but the quality makes it worth purchasing. I have purchased it several times since trying it. I really like this bread which is moist and yet, full of whole grain! I will definitely continue to buy this product! 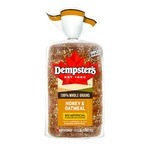 I recommend this bread to anyone who wants a tasty, wholesome bread, full of whole grains.